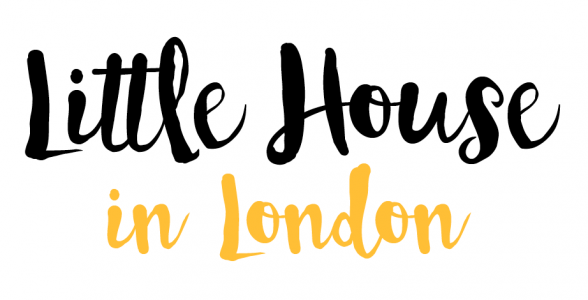 With school officially out here at Little House, we’re busy making plans for the summer holidays. Garden fun is always top of the list, we love our little city garden and treat it as another ‘room’ in the summer months. Marks & Spencer recently got in touch to see if I wanted to feature* some of their products in my little garden. With M&S pretty much being my go-to picnic shop, I couldn’t wait to style up some of their fab products. I’d already been eyeing up much of the summer range in store and online. I settled upon their Leaf Print Picnic Collection as a starting point. The botanical theme is so on trend at the moment, and I’d already treated myself to the side plates from the range a few weeks ago. I’ve always wanted a posh Hamper, the stunning Monstera pattern inside this one just ticked all the boxes. It features matching napkins and there’s lots of space for those those yummy eats you can pick up from M&S food to fill it with. Even Missy Meow was impressed! The botanical prints in this whole range just ticked all the boxes for me, I love the tropical palm tree print that features on the tumblers. Perfect for lemonade for the kids, or even a cheeky cocktail for the parents. I picked out the leaf print bowls, the whole range is melamine, really great for the garden. Of course, no picnic would be complete without something to sit on. I chose this herringbone weave picnic rug in a striking green. It features handy straps for easy carrying with a chic herringbone design and waterproof backing. For some extra comfort I added a couple of large outdoor cushions into the mix, I went for a striped cushion and palm tree print cushion, both in lime green, they are water repellent. Mr bee cushion from my sofa also made an appearance. I fell in love with this large green leaf platter, it’s perfect for serving up sharing dishes such as sandwiches, or for presenting little canapés when you’re having a more sophisticated dinner with friends. It’s melamine too, so ideally suited to outdoor dining. Garden games can be difficult to source for our small garden, but we all love this Wooden Hoopla game. This family friendly game comes with five rope hoops and is easily unassembled and packed away after hours of fun. M&S do such a lovely range of garden accessories, this sweet painted watering can has added some real charm to the garden. Great for watering these beautiful bee friendly planters of Lavender and Dahlias available in store from the M&S flower shop. With the warm balmy summer nights set be here for a while, evening lighting is very important. I have styled up a set of Industrial Style Solar Lights, bringing a touch of industrial chic to my garden with with these stylish festoons. I love the twinkle the large green solar light and small green solar light give off. I’ve also added a touch of evening scent with this large blossom breeze candle. I’m planning some fabulous day trips out with my new picnic accessories, they’re so easy to pack up and pop in the boot of the car. I Cannot wait to show my new hamper off and fill it up again with some yummy treats. Thanks M&S for making our summer look and taste so fantastic! M&S also kindly gifted Ava some clothes for this shoot, she wore a Pom-pom Pure Cotton Shift Dress (3-16 Years) and a pair of White Round Trim Sandals. I wore a pair of their Gold Elastic Ring Detail Sandals. *Although this is a paid collaboration with Marks & Spencer, all views and opinions are my own. I only work with bands a truly love and rate.